Nike's 'Power Pocket Lux' leggings are cut with a tight compression fit that supports your muscles and improves circulation. 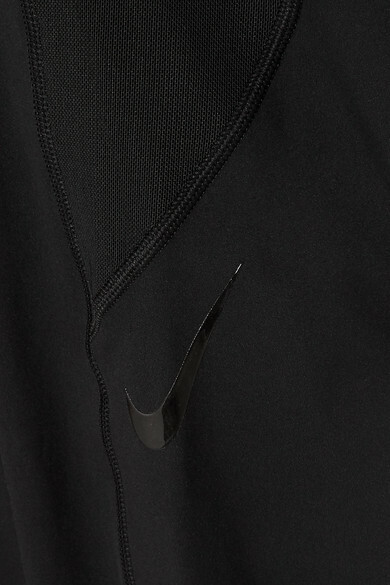 Sleek and sweat-wicking, they're detailed with mesh along the inner leg and sides. The slimline pockets are designed for stowing small items, like your keys or cell phone. Shown here with: Nike Sneakers, Bang & Olufsen Headphones, Nike Tank, Nike Sports bra.